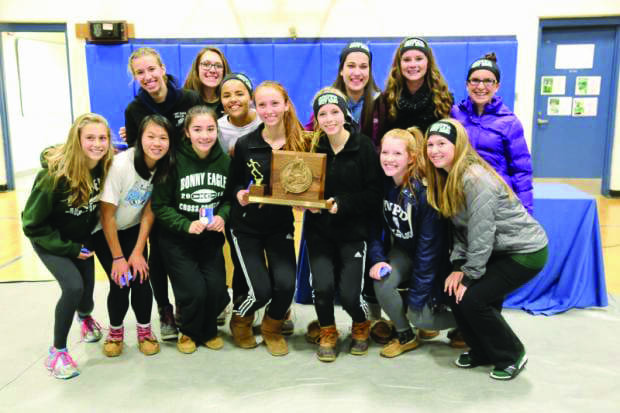 For the fourth time in the past five years, the girls cross country team has won the Class A state championship. This year’s runners included sophomores Ami Baumier, Abbie Nelson, Kayla Raymond, and Christine Toy, along with freshmen Emma Abbott, Emma Noonan, and Maddy Thompson. Leading the way was sophomore Ami Beaumier who finished 9th. She was followed by Christine Toy, 11th, Kayla Raymond, 15th, Abbie Nelson 27th, and Emma Abbott 37th. 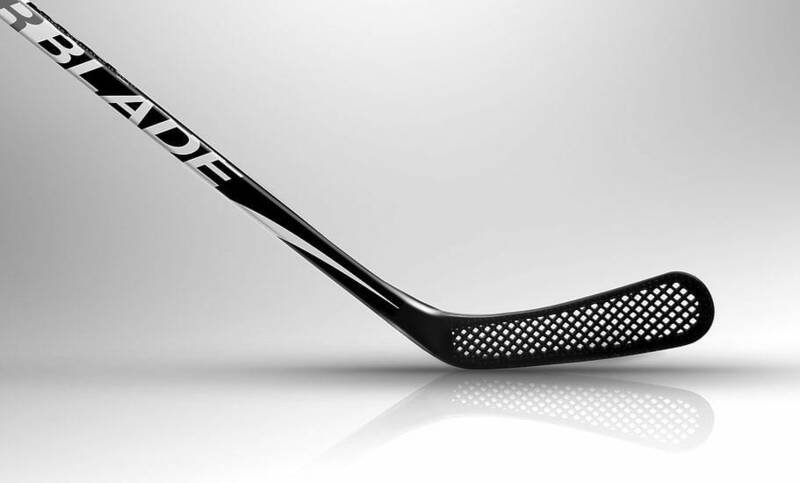 Carbon Sport's new AirBlade hockey stick is unique. It makes shooting easier and faster, which helps many athletes. Like many hockey players, I am always looking for new products to improve my performance on the ice. Hockey sticks are not a cheap purchase, so when I buy one, I want to make sure it is durable and has good weight, feel, and look. There is nothing worse than blowing $260 on a stick and having it break after only a couple games. Bonny Eagle started out the season looking like a playoff-contending team. The Scots had nine threes against Noble with senior forward Troy Bogdahn leading the way with five of them. The next game wasn't as easy though, as the Scots took a big loss to Portland in their home opener. As of Jan. 15, their record is 2-10. Coach Francoeur might be sayingm "Watch the baseline cut" as the defense tries to stop Westbrook's attack during a January game. The new head coach for Bonny Eagle boys basketball has a lot of basketball knowledge and has been around the game for a long time. Coach Francoeur has 25 years of coaching experience at the high school and college level. As a player, he was a starter on the Westbrook High 1984 Class A state champions and was a member of USM’s Division III Final Four team in 1989. As well as playing at the collegiate level, he also was an assistant basketball coach at the University of Southern Maine and at St. Joseph’s College. It was an unseasonably sunny and warm Saturday in mid-November as the Scots football team headed to Fitzpatrick Stadium in Portland looking to take home the biggest win of the year. Backed by a defense that produced three turnovers and four sacks in the second half, Bonny Eagle fought for a 34-14 win over Portland in front of a crowd of at least 5,000. The Scots went 11-0 and won the state championship for the sixth time in the past 13 years. Winter sports are here, and the two rivals vying for your attention are at it once again: skiing and snowboarding. These two sports are enjoyed by a lot of people, and it’s something we all miss when spring comes around. First, we have skiing. Skiing has been around for at least five millennia, according to the findings of archeologists. However, the skiing we all know today was invented by Norway artisans in the 1850s, and it was done on cambered skis. Later on, in the 1930s, ski lifts were starting to rise to make it easier for people to get up a mountain to ski, mainly for downhill skiing. As you may know, there is also a different type of skiing called cross country skiing. This form of skiing is normally not focused downhill, and it requires more exercise than downhill skiing to move around in the wilderness. Ski trails are normally in wooded areas, and it requires the skier to continuously move their legs to get around. Secondly, we have snowboarding. Snowboarding was initially invented around 1939, but wasn’t officially considered a sport until about 1965. It took another two decades for it to really gain popularity in the mid 1980’s. The first snowboards were actually called “snurfers,” which is a combination of snow and surf. They were created strictly for entertainment and downhill use. There are also many types of snowboards used for different styles of snowboarding. For example, a freestyle board is built for the easy use of riding off jumps and other tricks such as riding a half pipe. In 2016, both sports are relatively well known, but we wanted to know which is the most popular? According to a survey conducted school wide, 39% of 123 respondents would rather ski than snowboard, while 34.1% of surveyors would rather go snowboarding. This is not a huge margin, but judging the results, it is safe to say that skiing is the most likely to be chosen out of the two sports. The most interesting finding may be the percentage of people who prefer neither skiing or snowboarding. This last option (Other) was chosen, by 26.8% of respondents. Some of these respondents commented that they prefer less costly winter activities, like sledding, ice skating, and even snowball fights. In conclusion, while skiing and snowboarding are loved by many people, they are not everyone’s cup of tea. A new team was formed at Bonny Eagle High School this winter: the first-ever unified basketball team, coached by Mr. Craig Shappy, the head of the special education department. "It was the first time many of the kids played organized basketball and it was nice to see how they all grew individually as pla​yers," said Mr. Shappy. BEHS was responding to a requirement that all students have an equal opportunity to play sports, and there were 10 willing students eager to play. One of these eager students was junior Amber Randall, who has had much experience with activities of this type before. "Well my brother is special needs so I've always been around these types of kids. They had made a unified team at the middle school and I went to help them with practice. My brother's teachers asked me if I would help out with a high school unified team and I said yes," said Amber. 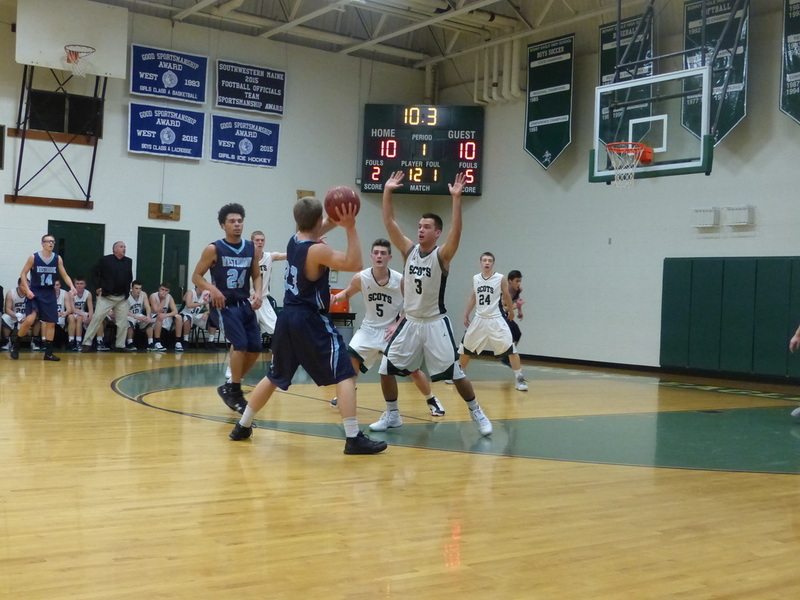 The team played schools from all over southern Maine during the winter basketball season. They practiced after school at least twice a week. “We are the only SMAA school who was able to get enough players for a team,” says Mr. Kyle Hodsdon, Athletic Director at BEHS.